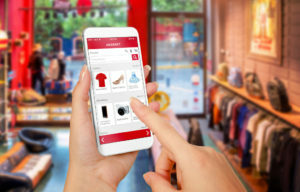 That’s according to a new consumer behavior report from Episerver, the company transforming digital experiences, which surveyed 1,000 consumers across the UK. The study of online shoppers reveals that one in five (22%) feel more loyalty toward brands that personalise their experiences, while 29% say that personalisation increases the likelihood they will make a repeat purchase with that company. Despite UK consumers becoming increasingly accepting of brands using their data to personalise their shopping experiences, nearly half (43%) say that brands don’t care enough about personalising their content; and for one in 10 consumers, this results in a lack of trust. Episerver’s report also examines how brands can encourage greater sharing of personal data. By far the biggest driver is product promotions, with 27% of UK consumers saying they would trade a higher degree of personal data sharing for greater savings and bigger deals. In addition, 18% of UK shoppers said that greater transparency into the security of their data would encourage them to share more personal information, while 16% would like a better understanding of who can access their data.